4. Answer your secret question. 5. 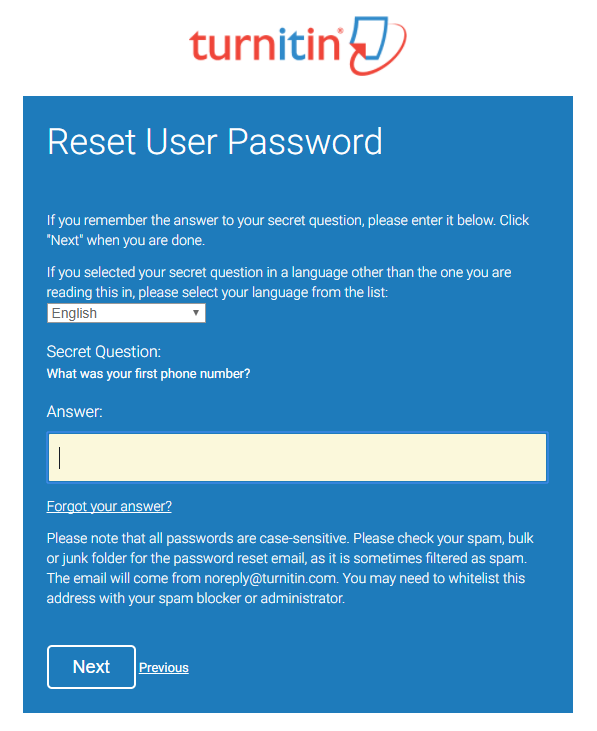 If you have forgotten the answer to your secret question, click the link Forgot your answer? 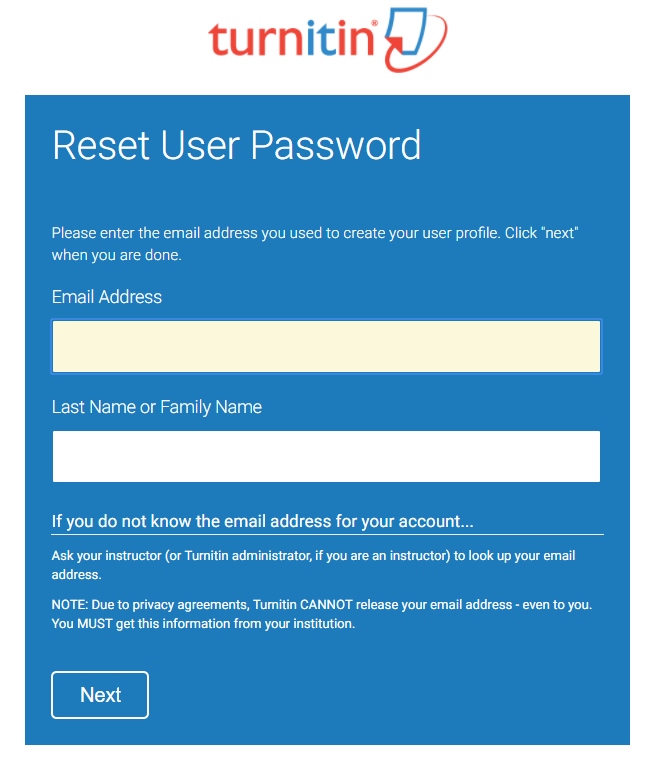 This will send a link to your inbox to enter a new password. 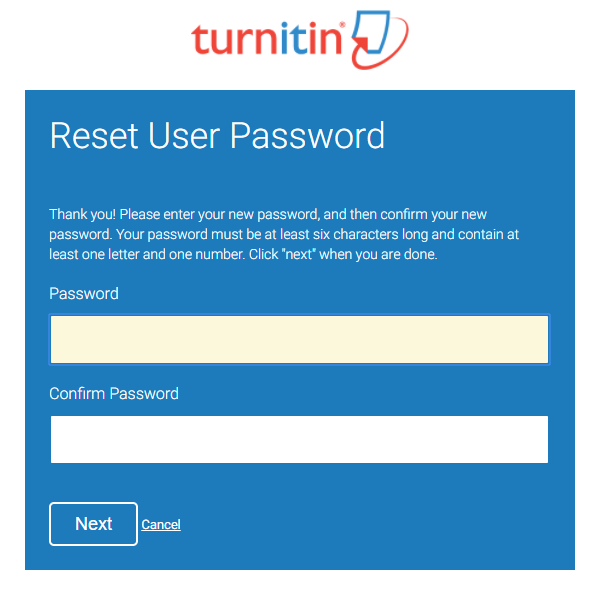 You have 24 hours to change your password using the link that has been sent to you. 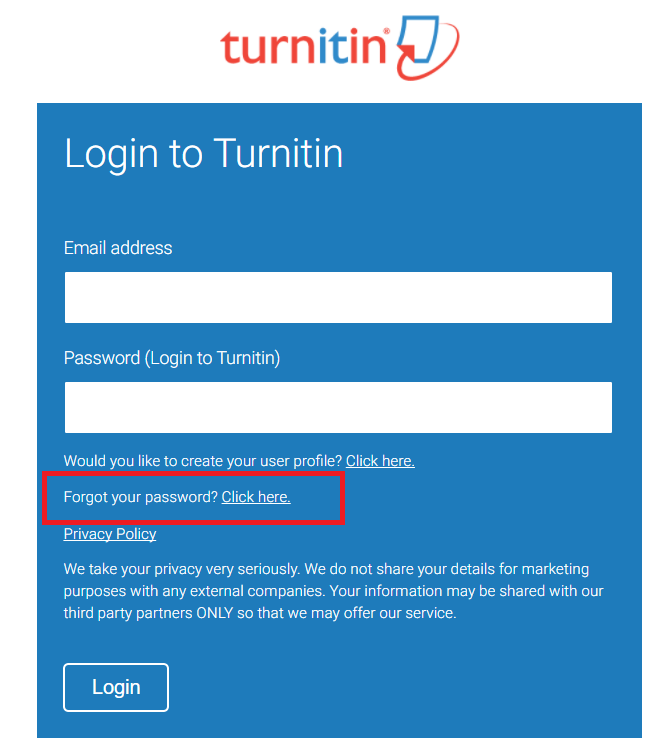 Note: If you do not receive an email containing the password reset link, please search for an email from noreply@turnitin.com in your Clutter folder.